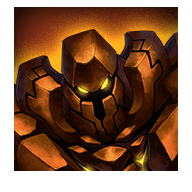 Golem is the 3rd esper you can get after defeating him in Zadehl Southersands. The dungeon can be unlocked from a mini quest in Zadehl Westersand Exploration. Upon leveling him to 1★ max level(30), you can fight him again in Zadehl Southersands to evolve him to 2 stars. You will keep all stats and skills + get access to new skills. If you want to know how to get him, scroll down below to find out. 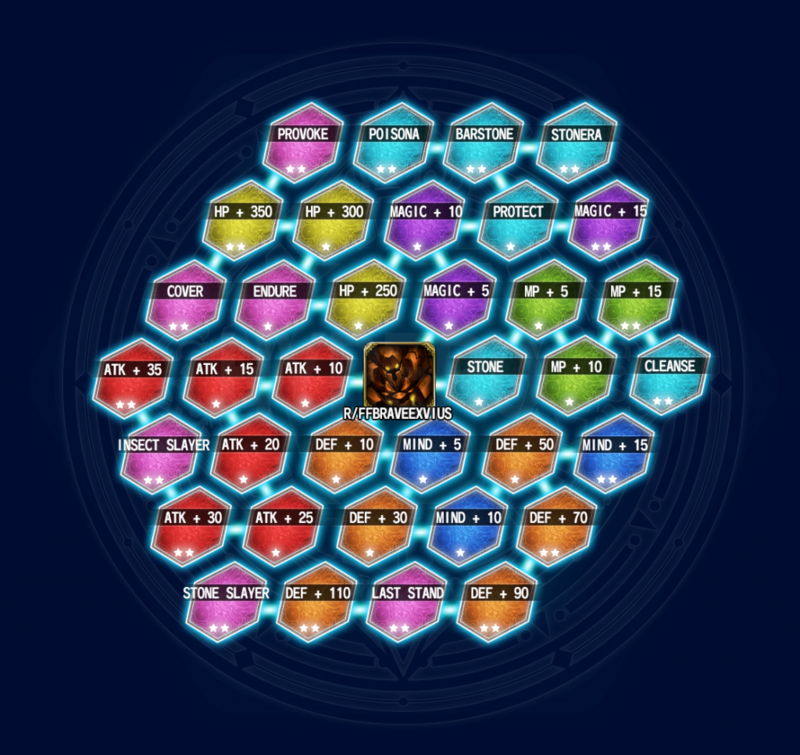 Since your characters gain 1% of the esper’s stats, here is what your character will get by looking at the table below. 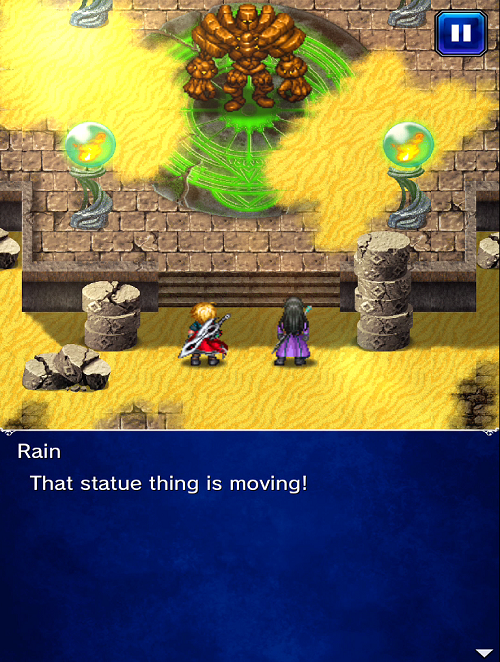 Ifrit is neutral to all elements and status effects except for wind and stone. 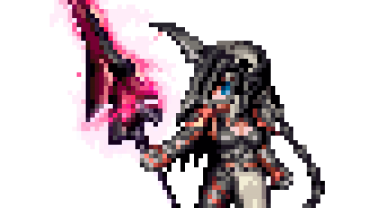 Here are their battle animations for 1 star and 2 star if you want to see it. First, go to the Desert Exploration Map and talk to the NPC who is lying on the ground. 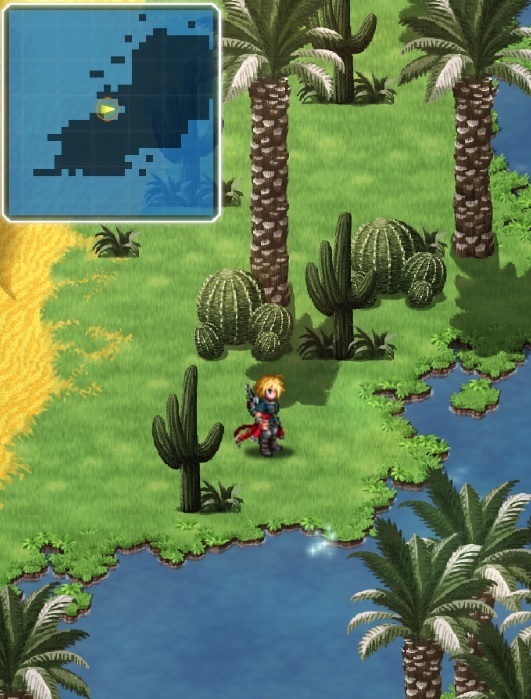 Then, go to the Oasis in the middle of the map and get some Water for the NPC. Go back to the NPC, pass him the water, and the map will unlock! He is the in the final stage – Zadehl Southersands – Sealed Zone.